How to prepare for an ER trip or a visit to a new medical practice. Going to th e ER or to a new doctor’s office can be a stressful experience. The obvious reason is that we are sick. Sick enough to need an ER or sick enough to need another consult. But the other more difficult reason for the stress, is the reaction we get from the medical professionals we go to for help.. The best way to help your stress level and theirs is to be prepared. Let’s face it, it can’t be easy for the ER team, the doctors and nurses to have a patient in front of them talking about illness and treatments that they know little, if anything, about. So since they can’t prepare, it falls to you. Here are some suggestions to help you get ready in advance. 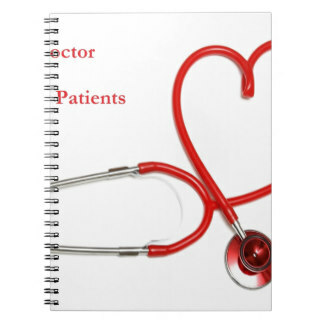 Long before you are in need of new services, create a medical notebook. Download one or two medical articles related to your particular form of dysautonomia, a list of ALL of your medications (even the things that don’t necessarily come by prescription, like the vitamins you take and the lemon-mint tea that helps you digest), a listing of your medical history (past and current) and at least one doctor at the center of your treatment that can fill in any blanks. It is very helpful if you can arrange an understanding with your “go-to” doctor in advance so they are willing to jump in when needed. A few cheat sheets are included with this to help you get started. Be sure to have water and a snack with you for the wait and don’t forget to bring your current meds with you. As we all know, dysautonomia symptoms do not always follow the “normal” course of accepted action and reaction. For example, in the case of certain types of dysautonomia, the standard test for dehydration may return normal levels and volume, yet if the medical team understands what to look for, they might see that the person has dangerously low levels of sodium. This is just one example, there are many more examples of vital information that can be missed because this illness does not follow the standard, expected reactions of other illnesses. Be sure to include the HR range and BP range that is “normal” for you. And this brings us to the next extremely important preparation to make before you go to the ER or to a new medical team - advocacy. You have to be ready as the patient to advocate for yourself or if you feel too sick to take on what could be an uphill battle, then prepare to bring someone with you who you trust and who understands your illness well. Understand before you even get there, that if the ER staff or new doctor and nurse you are there to consult with, are unwilling to read the articles you’ve brought with you, or to take their time going through and asking questions about your medical history, then this is not the place for you. If a new team has an uncooperative attitude from the beginning, if they are unwilling to listen and understand the information you have about this complex and unusual illness, then they are unable to treat you properly.